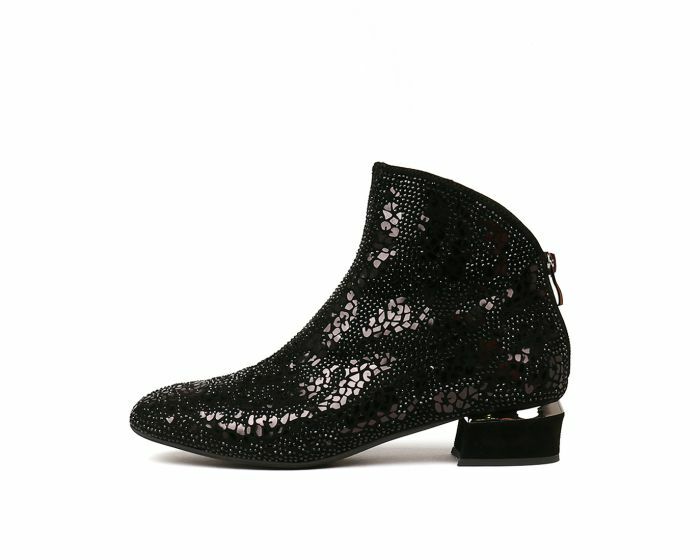 Swap sky-high heels for an elevated pair of statement boots this season - with this shimmering pair from Django & Juliette. Crafted from butter-soft leather embellished with a smattering of twinkling tonal diamantes, the pair feature an on-trend squared toe, curved cuff and sculptural block heel. Wear them on nights out with mini hemlines or dress them down with cropped denim.